Insurance businesses find themselves in difficult times. 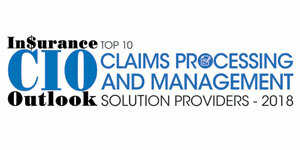 For every claim that has to be processed, insurers face multi-faceted challenges in streamlining the operations cycle. There is often a lack of visibility and coordination between the processes involved, adding to the costs incurred by carriers. This is most notable for auto insurance providers, who are seeing increasing severity and frequency of road accidents. Recent changes in vehicle design—including the switch to aluminum vehicle bodies and the use of expensive sensors—mean that the average fender-bender can cost significantly more than it used to. Agero is a claims processing and management solutions provider that has positioned itself in this niche area, with a proven ability to help clients mitigate costs while improving the customer experience. In business for over 45 years, Agero works closely with insurance carriers to help them reduce frequency and severity of auto physical damage claims as well as improves policyholder retention. As Jeffrey Blecher, Chief Strategy Officer at Agero, states, “Our solutions are directly integrated into the carrier’s claims management workflow and allow us to help them reduce the severity of accident claims by streamlining processes and reducing cycle times.” Agero enables insurance organizations to become more profitable while at the same time fostering loyalty and retention. VehicleAssistTM is Agero’s roadside assistance solution, designed to address instances of mechanical breakdown. When a policyholder’s vehicle breaks down, Agero APIs, which are integrated into the insurance carrier’s mobile apps, can be used for requesting and dispatching immediate roadside assistance. Since VehicleAssist would already have relevant customer data (policy information, vehicle type, and location from the GPS on their phone), the policyholder only has to answer a few quick questions. The consumer can submit their request right through the app to get an immediate response from Agero via text message, as well as a web link with info on their service provider, including real-time ETA (estimated time of arrival) and tracking of that provider en route to their location. The roadside product has been shown to deliver exceptional policyholder satisfaction and increase policyholder retention rates. Driver360TM is Agero’s mobile telematics program, a smartphone app used to understand driver behavior, while providing education and coaching to help reduce the frequency of accidents. That, combined with the incentives from insurance companies, has a significant impact on reducing distracted driving and improving driver behavior. It also uses the same telematics technology to automatically detect if an accident has happened and trigger Agero’s specially trained emergency response agents to immediately reach out to the consumer to determine if they need emergency services. Driver360 can also get the claims process started, dispatch a tow truck, and even begin vehicle assessment and service. Meanwhile, Agero’s Accident Management services assist insurance carriers get damaged vehicles towed promptly to the carrier’s preferred location while avoiding unnecessary storage fees and additional towing charges. Through these services, Agero helps carriers reduce claims cost on an average of $300-$500 and reduce cycle times by 5 days. Agero is currently focused on working with carriers to further improve their processes and deliver more value to them. Their aim is to integrate the First Notice of Loss process more tightly, and to help get broader deployments with their Driver360 product line in order to detect crashes in real time. This would allow them to help carriers on a much higher percentage of accidents. Through their well-planned roadmap, Agero is seeking to bring more process optimization and savings to their clients.